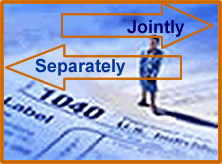 Should You file Taxes Jointly or Separately? It’s tax time again, and many are wondering whether they should file jointly with their soon-to-be-ex-spouse. There are many factors that I consider when I meet with clients to determine their best course of action for filing taxes. If you suspect your spouse is cheating on taxes by under-reporting income or over-reporting deductions, you can file separately and be liable to the taxing authorities only for the taxes on your separate return. If you file a joint return, you will still will have some protection, since you could claim innocent spouse status if the taxing authorities audit and determine that additional taxes are due. But for innocent spouse protection, you might have to prove that you didn’t know about your spouse’s schemes to save taxes, and that can be tough to do. If you and your spouse don’t agree about how tax refunds should be shared or who should pay any additional taxes due, filing separate returns can resolve that dispute, with each spouse liable for the taxes on their own return. Since California is a community property state, filing separately might not be beneficial if the couple was together for much of the year. In community property states, most income and expenses must be combined and reported half on each tax return. That complicates return preparation and requires coordination and sharing tax information. And if errors later are uncovered by the IRS, innocent spouse rules won’t help, since they only apply to joint returns. See IRS Publication 555, Community Property, for more information. 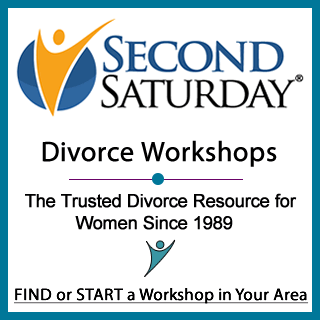 Married filing separately has several drawbacks and limitations. If one spouse itemizes deductions, so must the other spouse, even if they would be better off claiming the standard deduction. Forget taking special deductions and credits, such as interest on student loans, child and dependent care credit, earned income credit, exclusions for savings bond income used for education, education credits, credit for adoption expenses, and credit for the elderly or disabled. None of these are allowable on separate returns. People who are married filing separately will pay tax on more of their Social Security benefits, can’t do an IRA rollover, and can claim only half the capital losses they could on a joint return.